Portland, Maine - November 22, 2010 - The Games for Health Project, which since 2004 has been working to support the use of Serious Games and video game technologies in health and health care, announced a call for content for its 7th Annual Games for Health Conference, scheduled for May 17-19, 2011, in Boston, Mass. Any organizations or individuals interested in speaking, hosting a panel, or providing a demo and case study for a project can easily submit their talk online. Accepted speakers and panelists receive free admission to the Games for Health Conference. 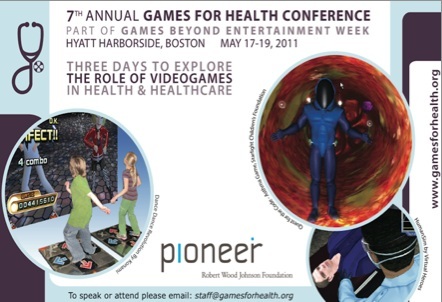 The 7th Annual Games for Health Conference program takes place on May 18-19, 2011 and includes simultaneous tracks, a poster session, exhibits, and special topic rooms. Each day features 25 or more talks across a variety of open and specific topic areas. The conference also includes several unique pre-conference events on Tuesday, May 17, 2011, that will cover games accessibility, medical modeling and simulation with games, messaging, and mobile-specific solutions. Games for Health is now the anchor event for Games Beyond Entertainment week, which is a festival of events dedicated to the impact of video games on all walks of life and their potential beyond personal entertainment. Topics to consider covering also include disease management and education, professional training/education, pain distraction/stress relief, medical informatics, PHR/EMR, health effects of games, general health behavior change, virtual patients, cyberpsychology/psychotherapy, interface and visualization applications, drug discovery/health industry productivity, effectiveness of health games, insights on gamers and gamer psychology, and relevant game design and design theory. Founded in 2004, the Games for Health Project supports community, knowledge, and business development efforts to use cutting-edge games and game technologies to improve health and health care. The Pioneer Portfolio of the Robert Wood Johnson Foundation is the lead conference sponsor and a major supporter of the Games for Health Project. To date, the project has brought together researchers, medical professionals, and game developers to share information about the impact games and game technologies can have on health, health care, and policy. 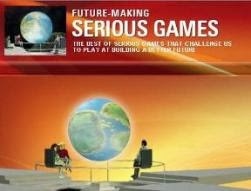 A major effort of the Games for Health Project is the annual Games for Health Conference. Over three days, more than 400 attendees will participate in over 60 sessions provided by an international array of 80+ speakers, cutting across a wide range of activities in health and health care. Topics include exergaming, physical therapy, disease management, health behavior change, biofeedback, rehab, epidemiology, training, cognitive health, nutrition, and health education. 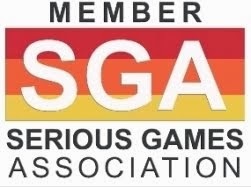 The Games for Health Project is produced by the Serious Games Initiative, a Woodrow Wilson International Center for Scholars effort that applies cutting-edge games and game technologies to a range of public and private policy, leadership, and management issues.